I was alone in the aisle. Talking to myself. 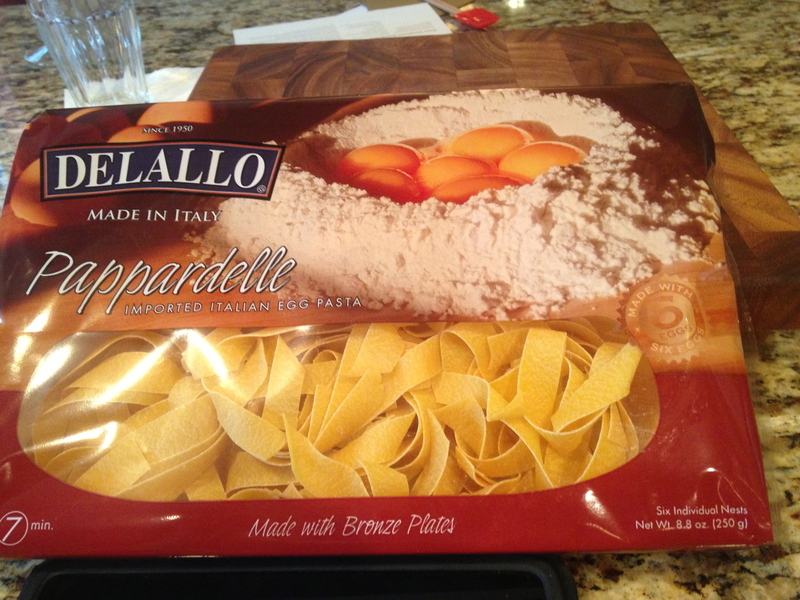 But this was a big pasta moment for me. Maybe I should have bought more than just this one. They are sandy, so deal with that. 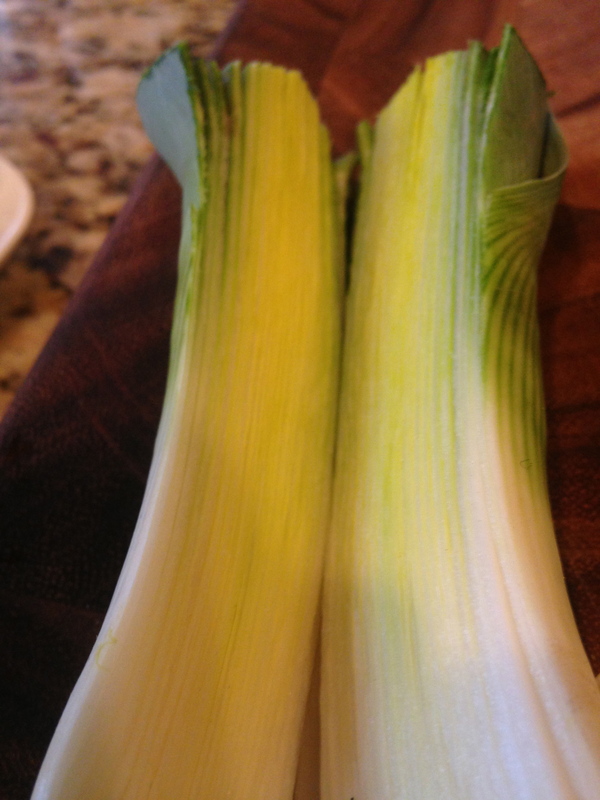 With leeks, you only eat the white and light green parts, which is only about 1/3 of the vegetable. Deal with the waste and move on. I always cut them with a slight angle up, so they are a bit pointed. Next, you have to deal with the sand. Leeks are grown in sandy soil and are a relative of the onion = layers. And anyone who has been to the beach knows layers+sand=bad time. 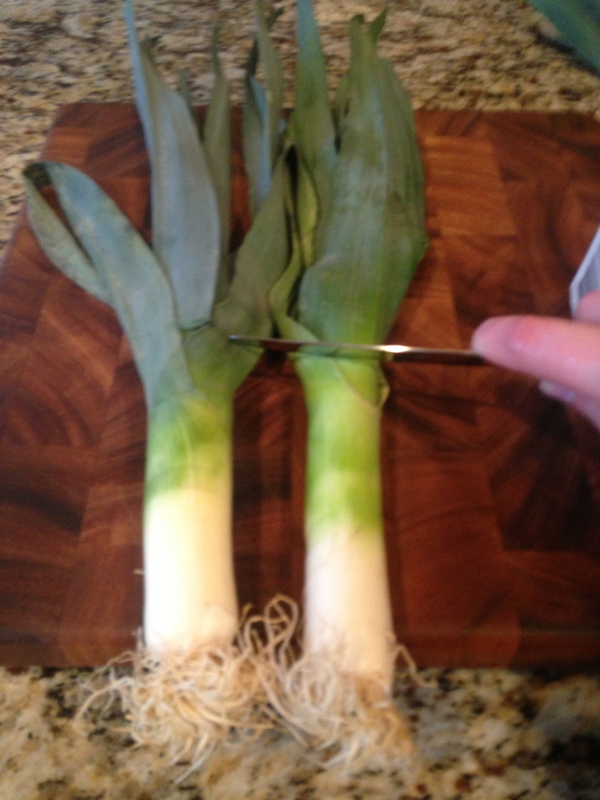 So cut the leek down the middle and run it under cold water while fanning out the layers, like you’re fanning the pages of a book. Now you’re ready. 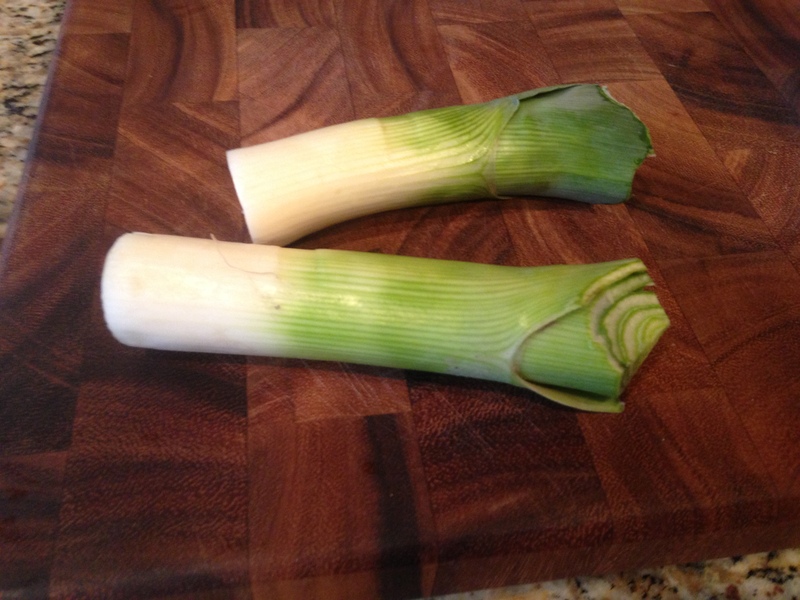 You can either braise the leeks like this (I love to braise them in a tomato white wine sauce with a hint of nutmeg) or cut them crosswise, as in this recipe. A look at the layers. Just run this under water and fan your thumb through them. Get the pasta water going and don’t forget to salt it. Add the thyme, cream and water (and a splash of wine if you feel like it) and let it come to a boil. Then turn the heat down and let it simmer and thicken until it coats the back of your spoon. Meanwhile, the pasta should be done. Reserve 1 cup of the water and then drain. Add the pasta, half of the reserved pasta water, and cheese to the saute pan. 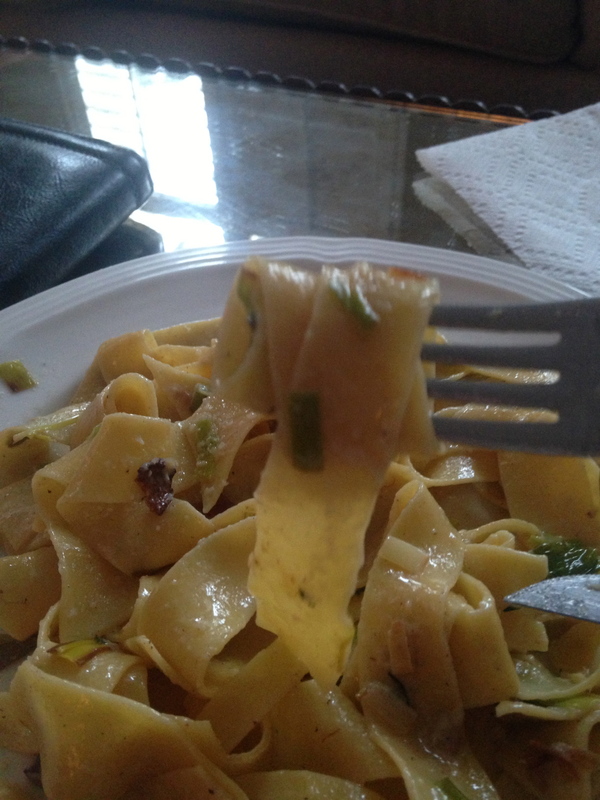 Gently stir/toss the pasta and add more water as you see fit. You want all noodles coated in the sauce. This takes about 4 minutes of patient tossing. Serve on plates with a little more cheese and try not to eat it too fast.